Property listed by Keller Williams – Lake Travis. 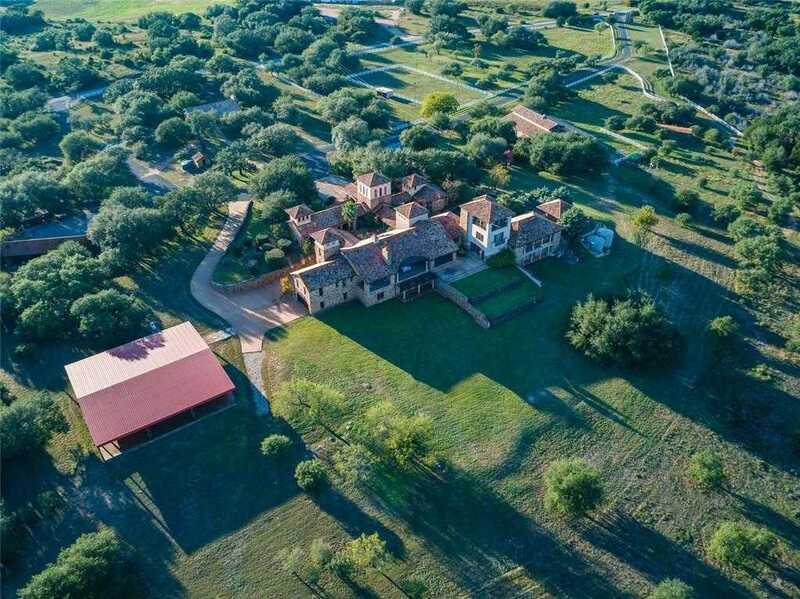 68+ ACRE Estate w/Expansive Hill Country Views! UNZONED. Property includes the Grand Home w/2 Guest Casitas 13,527 sf (2 elevators), Guest House/Barn 4,428 sf & Foreman’s House 1,430 sf. Lighted Riding Arena, 4 Stables, 75×75 Covered Pavilion, 2 Rain Collection Systems, 7 Car Attached Garage & Equipment Barn. Wildlife Exempt Management Plan for LOW taxes. 3 Level Pool & Koi Pond. Bordered on 2 sides by Fall Creek Massive Oak trees. 3 counties combined for tax rate. Within 25 min. to Hill Country Galleria.